Yes, it is that time of the year. Where you live, you may only notice the leaves turning and the days getting shorter. Where we are, we see the snow appearing on the summits and slowly, gradually creeping lower, and getting deeper. You may think of our lodges as winter places, but they are far more than that. Summer is a time when guests come to hike, to climb, or to take part in retreats and workshops in the serenity of the summer mountains. For us, the operators, it is a time of repair, of building, of planning, and of being in the mountains with our friends and family. In the summers, we build trails, we bring in new furniture, we rebuild power systems and repair doors, floors and roofs. We shovel outhouses, a less glamorous, but pretty fundamental part of getting ready for the winter. We see our terrain without its snow cover and take note of things we need to know. We might glade a new run or remove a few trees that make a passage tight. Many of us work on reducing our carbon footprint. We build or upgrade micro-hydro systems, install solar panels and upgrade our battery banks. In my lodge, I was able to reduce my fossil fuel consumption from 500 litres per year to 50. The lighting, battery charging and internet access are all still there, but achieved with a lot less energy input. None of this shows at first glance, but it takes quite a bit of money (time?) and effort. We hope that we got everything done that is needed to give you another great winter experience. What we do in the summer is mostly hidden under the snow when you arrive. But make no mistake: we are thinking and working on being ready and welcoming all year, not only when you step out of the helicopter to start your week. See you then! And if the long-term forecasts are worth anything, this winter might be one to remember for deep snow and cold weather. It was a beautiful summer and they did their best to enjoy it at all of our lodges. 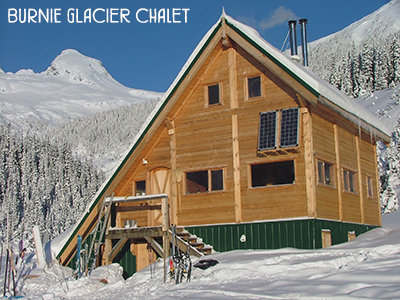 The BLBCA blog let’s you experience lodge life and the BC backcountry from the comfort of home. Check out our recent summer posts from Purcell Mountain Lodge, VMT, Assiniboine, Selkirk Mountain Experience, Talus Lodge, Sol Mountain Lodge, Sorcerer Lodge, Ice Creek Lodge, Canadian Adventure Company and many more. Stop by our booth in the Mountain Marketplace to learn more about our backcountry network, ask a question about avalanche awareness or just to say hi! Sign up for our newsletter, grab a BLBCA sticker and enter for a chance to win some great backcountry prizing! 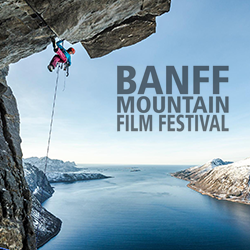 We’ll be at the Banff Mountain Film Festival from Friday, November 4th to Sunday, November 6th. The backcountry beckons! Perhaps you plan on rock climbing, upgrading skills in a course or hiking the Alpine. 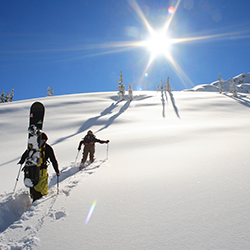 As a backcountry enthusiast you’ve prepared and probably have several back up plans. Those plans should include travel medical insurance and evacuation coverage. Rock the BLBCA! Bring us on your next adventure into the backcountry! Sign-up today and we’ll send you a BLBCA sticker absolutely FREE. It’s that easy!